For over 65 years, Crescent Plastics has been providing high quality, high precision custom extrusions for industrial equipment of all types. All of our custom tubing and extruded plastic shapes are made to match our customers’ exact design specifications. We will work with you to develop the best solution for your unique application. We work with an array of thermoplastic materials, including Commodity Materials and Engineering Materials. 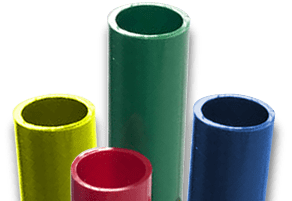 Crescent Plastics can produce custom extrusions in nearly any shape you need, no matter how simple or complex, and from most any type material. We can deliver custom tubing as small as 0.188” in diameter and custom plastic profiles up to 20” wide and larger. Contact us today to get started on custom extrusions and custom tubing for your equipment. Our expert engineering team can provide design assistance at any point in the product development process, whether you have nothing more than a rough sketch or a completed prototype that’s ready for full-scale production. Our engineers can help with everything from material selection to design suggestions for improved manufacturability. We can provide 3D printed samples for fit, form, and function testing. We use DFM (design for manufacturing) methodology to support recommendations for optimum quality and production efficiency. All our extrusion dies and downstream tooling are built in-house to minimize costs and production time and to ensure the quality and accuracy of our custom extruded plastic shapes. Our DFM approach helps to provide maximum efficiency, while secondary services such as pad printing, hot stamping, assembly, and kitting help you get your product to market faster. We use state-of-the-art extrusion equipment and production machinery that enables us to maintain required tolerances and complex geometries. Crescent Plastics has the experience and the expertise to deliver custom thermoplastic extrusions that meet your unique requirements. Contact us today to request a quote or to learn more about what we can do for you.